Walnut Grove, Minn., may be put back on the map. Deadline reports that Sony is considering making a film version of "Little House on the Prairie," which aired as TV series on NBC from 1974 to 1983. 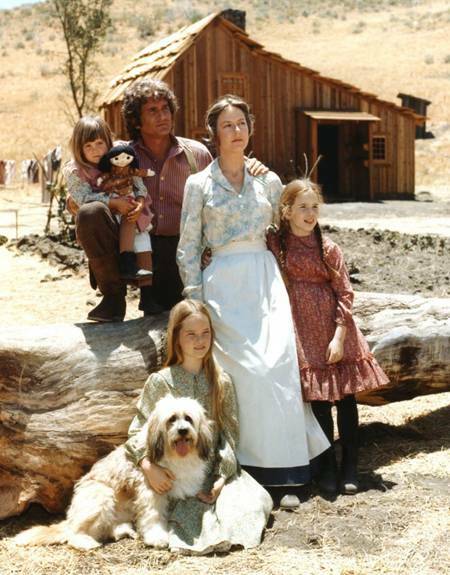 Based on a string of novels by writer Laura Ingalls Wilder, the show starred Melissa Gilbert, Michael Landon, Karen Grassle and Melissa Sue Anderson. Although a deal hasn't been signed yet, "Pineapple Express" director David Gordon is in talks with screenwriter Abi Morgan ("The Iron Lady") and producers Trip Friendly and Scott Rudin ("No Country For Old Men," "Moneyball") to bring the classic series to the big screen, Deadline reports. Wilder published her series of novels from the 1930s through the early 1940s about her family's move to the Midwest in the late 1800s. Her story came to life on the small screen with Gilbert portraying the Laura Ingalls character. Landon played Charles "Pa" Ingalls and also served as the Emmy-winning show's executive producer, alongside Ed Friendly. Several young stars got their starts as recurring characters on the series, including Shannen Doherty and Jason Bateman. "Little House on the Prairie" re-runs currently air on the Hallmark Channel weekday nights.